This is a series of articles about the North Coast 500, a 500-mile road trip through the Scottish Highlands. Associate Editor Graylyn Loomis is making the journey and will be posting here every day of the trip. Follow along here and on LINKS social media as he drives ever-further into rural Scotland! I’ve wanted to drive the North Coast 500 for years now. Many compare it to the U.S.’s Route 66, but it’s more rural, and for my money, more beautiful. For those that don’t know, I attended the University of St Andrews for college. During those four years in Scotland I traveled extensively, but I only visited Dornoch once. This trip brings me back to visit Dornoch again, plus many new places. Have a look at my journey on the interactive map below. All of the red balloons are places I’m staying and all of the green golf icons are courses I’m playing. 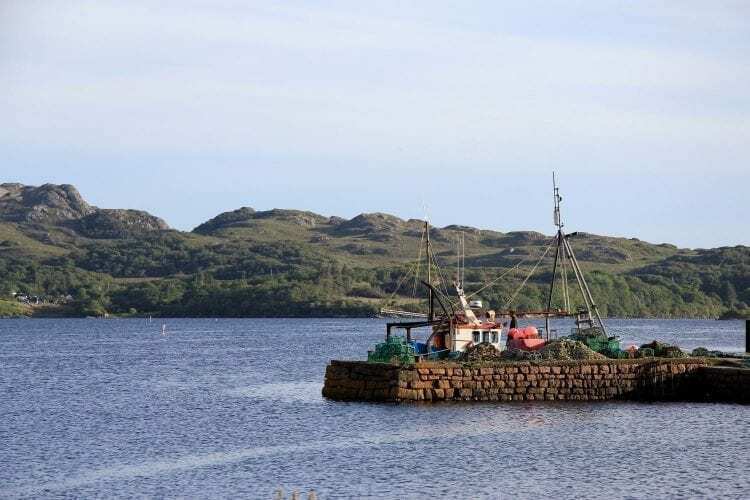 A large part of what makes the Scottish Highlands so special is the location. It’s not an easy place to reach, and your anticipation grows as you get further north. The roads get smaller, the views get better, and you seem to leave the world behind. I arrived mid-morning two days ago in Edinburgh on a flight from Newark. 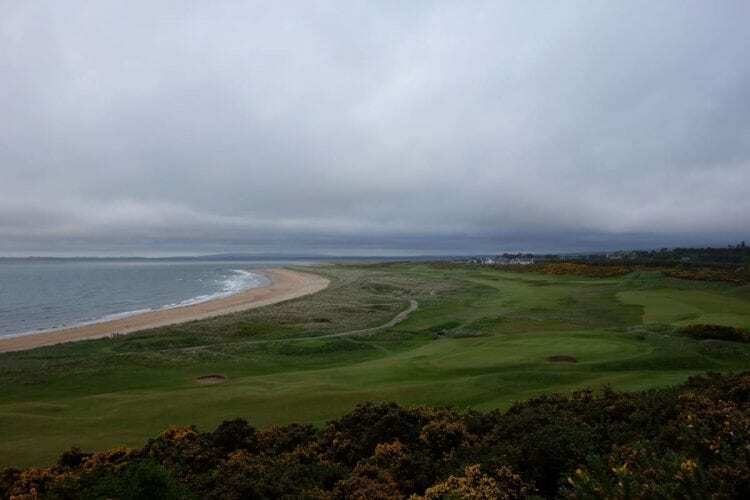 After some embarrassing stalls in my manual rental car, I found the A9 and made steady progress north toward my first destination – Castle Stuart Golf Links. Castle Stuart is located just outside Inverness, Scotland, known as the base of the Highlands. I had shipped my clubs to Scotland using a service called Luggage Forward, and while United Airlines lost my baggage, my clubs were waiting in the pro shop at Castle Stuart. I took a shower, had a quick lunch, and got back on the road. Don’t worry – I’ll be back to play Castle Stuart this coming Sunday. From there I continued north past Inverness into the Highlands. My destination for these past two nights was The Carnegie Club at Skibo Castle. The castle’s most famous owner was Andrew Carnegie although its history spans centuries before the famous tycoon. Skibo is now a private member’s club with everything from shooting and horseback riding to off-road driving and golf. The course, originally built as a 9-hole practice links by Carnegie, is now an 18-hole championship layout. 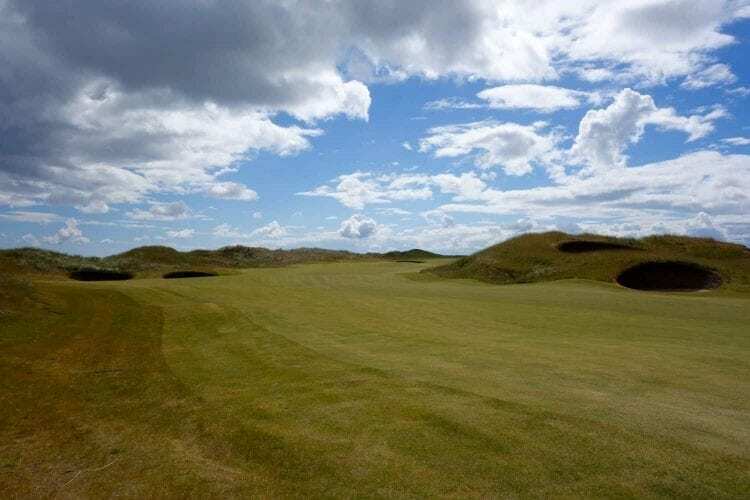 The bones were designed by Donald Steel, but Tom Mackenzie and David Thomson (Skibo Director of Golf) made drastic changes to the course about 10 years ago. They removed acres of gorse, moved greens, opened vistas, and significantly raised the caliber of golf. The course is only part of the experience at Skibo, though. Watch out for more about the castle and experience at Skibo in a future issue of LINKS. This morning I made the short five-mile drive from Skibo Castle to Dornoch, Scotland and I am typing this article sitting in the clubhouse at Royal Dornoch. The wind is blowing and there is light spitting rain – perfect conditions for one of the most revered courses in Scotland. I don’t have a round booked today, by I may sneak out for a late evening round depending on weather. Keep in mind that the days are long this time of year in the Highlands. The sun rises around 4:45AM and darkness falls around 11PM. Teeing off after dinner for a quick 18 is the norm. My accommodation tonight is Links House Dornoch. It’s a place that I’ve heard about for a number of years now. The hotel is a 5-star accommodation less than a minute from the first tee at Dornoch. It is owned by an American who, like many others, fell in love with Dornoch during a visit to play the course. He has since expanded his boutique hotel and established it as one of the best places to stay place to stay (and eat) while in Dornoch. I am due to check in shortly, so I’ll report back on my stay in tomorrow’s post about Day 2 on the North Coast 500!